Leverages liquid fuel veins as self-coolant to keep onboard projection generator at biting sub-zero temperatures. The Golden Age. Our shining history. The height from which we fell. Once, everything we had was borrowed from the past. Since the Collapse we have struggled to reclaim even a scrap of what our ancestors once took for granted. Over the years, Omolon has perfected the art of salvaging Golden Age technologies and repurposing them into effective Guardian weaponry. But Coldheart is something new. We didn't find Coldheart. We didn't adapt it or recycle it. We created it. 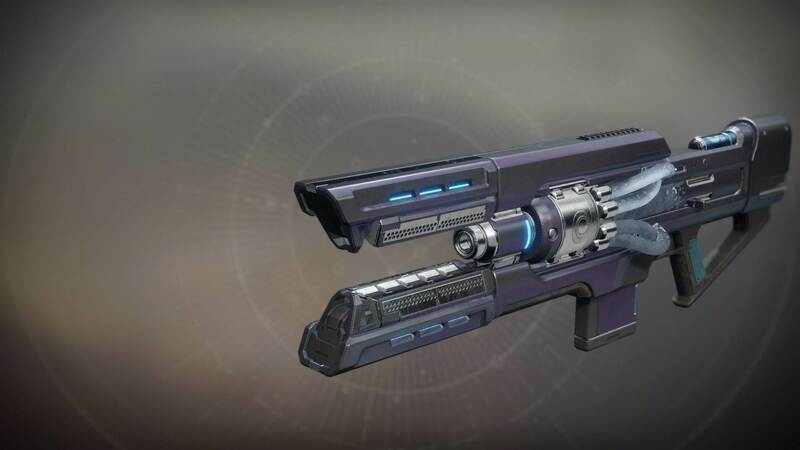 Its liquid ammo, which doubles as its coolant, is a game-changer on its own—never mind Coldheart's first-of-its-kind laser-powered trace weaponry. With Coldheart, we at Omolon are saying: we want more than to simply reclaim the Golden Age. We want to surpass it.